It’s my brother-in-law’s birthday today so I made him a little card to send with his present. 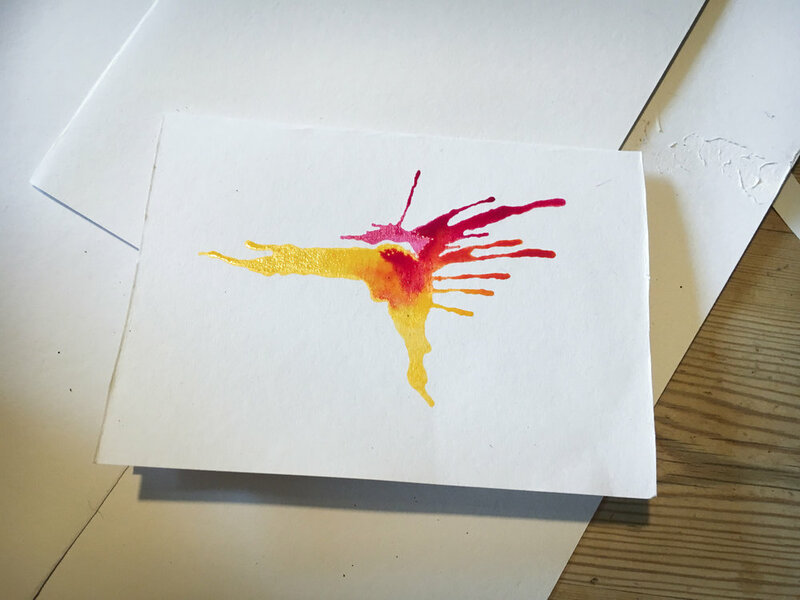 I like making ink splat creatures - here’s how this one developed! First, I took one colour of ink, dropped a coupla blobs on the page then blew it about a bit. Then I took another colour, blobbed it next to the first splat and blew it about - trying not to mix tooooo much with the yellow. This angle looked like an exotic bird with magnificent head plumage and a big old beak, so I locked it down. I used a black pen to fill in the details and bring the creature to life. What a beauty!